1).The Sale of loose Cigarettes and Tobacco was banned in which state? 3).India is hosting the ______ World Bridge Championships in Chennai from 26th September 2015 to 10thOctober 2015? 4).What is the name of the Contactless Credit and Debit Cards respectively, which was launched by ICICI Bank recently? 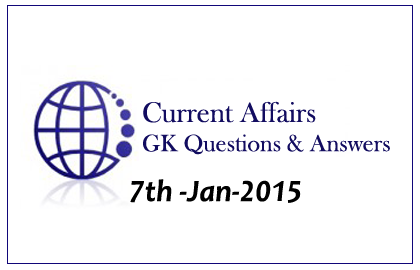 5).Indian Diplomat Atul Khare has become the UN under Secretary-General for____-? 6).To start e-rickshaws in Delhi, President Pranab Mukherjee have signed an ordinance to amend the Motor Vehicle Act_______? 7).Name the committee which was formed to monitor the functions of “Krishi Vigyan Kendras”? 8).What is the main theme of National Youth Festival 2014? 9).19th National Youth Festival was hosted by which city? 10).Government has planning to launch “Rashtriya Avishkar Abhiyan” to create interest among the students in which subjects?